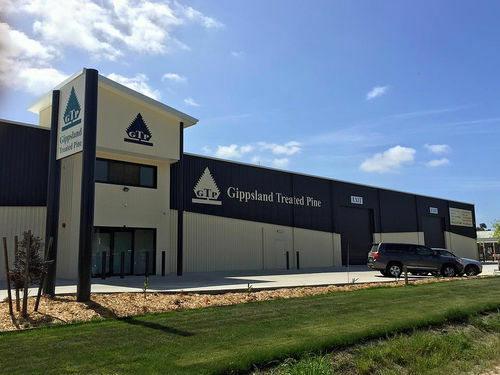 Gippsland Treated Pine is a family owned and operated Timber & Hardware business with locations in Morwell, Bairnsdale and Beaufort in Victoria, Australia. We can service areas from Far East Gippsland up into NSW, throughout Gippsland, Western & Northern Victoria and beyond. We stock a large range of building timbers, sleepers, decking, palings, rural posts and custom-made morticed post and rail fencing. We sell to Retail, Trade, DIY and Wholesale customers with discounts for pack lots. We custom treat timber at our state-of-the-art treatment facility using both CCA & Arsenic-free, ACQ preservative. We are members of the HBT buying group as well as being suppliers to HBT members. Wholesale Enquiries are welcome. We stock brands such as Whites Wire, Gallagher, Macsim, Otter, Makita, Philmac and many others. For Christmas 2018/19 Trading Hours click here.